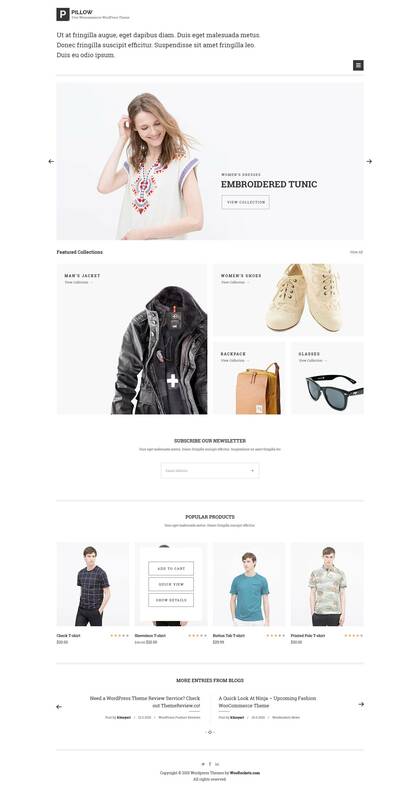 If you're building a simple ecommerce website, try out this free minimal ecommerce design. It's a single page flat design, but you can easily extrapolate it into multiple pages. If you build your ecommerce solution with it, please give us a shout with your URL and we'll link to your work. Pillow was designed by K3nnyart on Dribble. Give hime some love!